It's been hectic around here lately, my inner ski bum is battling with my inner boat bum and it's been a really even match even though April starts tomorrow. The snow is still really deep in the woods and the spring corn snow is prime right now. 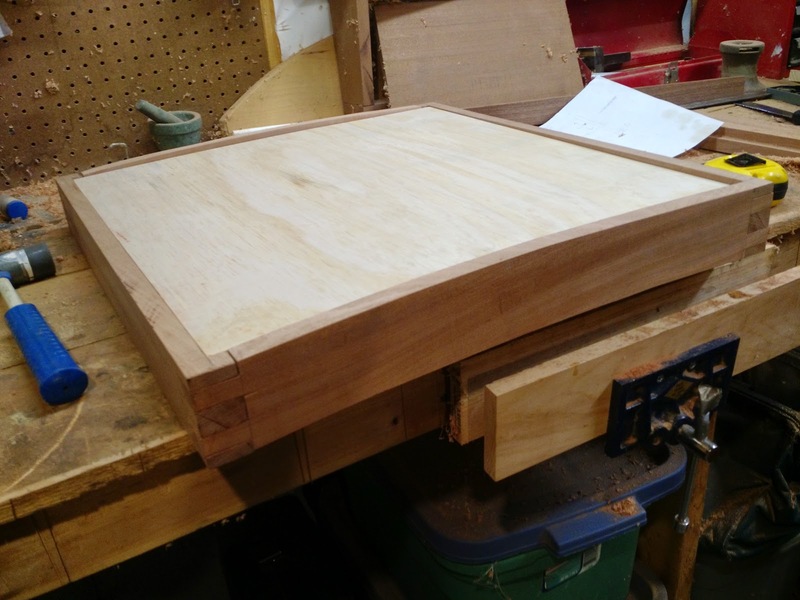 Anyway, before epoxying the hatch up, I did manage to cut out a perimeter rabbet 1/2" x 1/2" on the new hatch partly with my router and a sharp chisel in the corners. 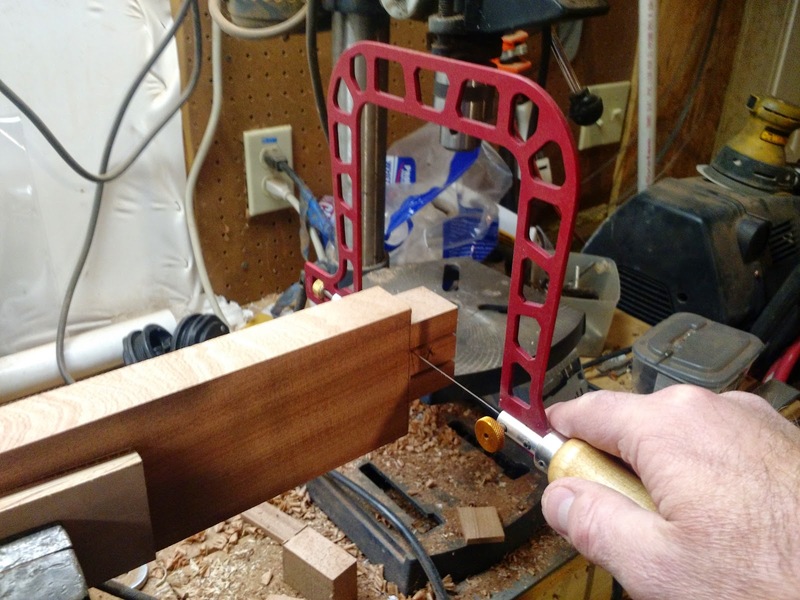 It always takes me longer than I expect, but I always do a few test cuts when using the router because it sure can make a mess of things when it gets out of hand. 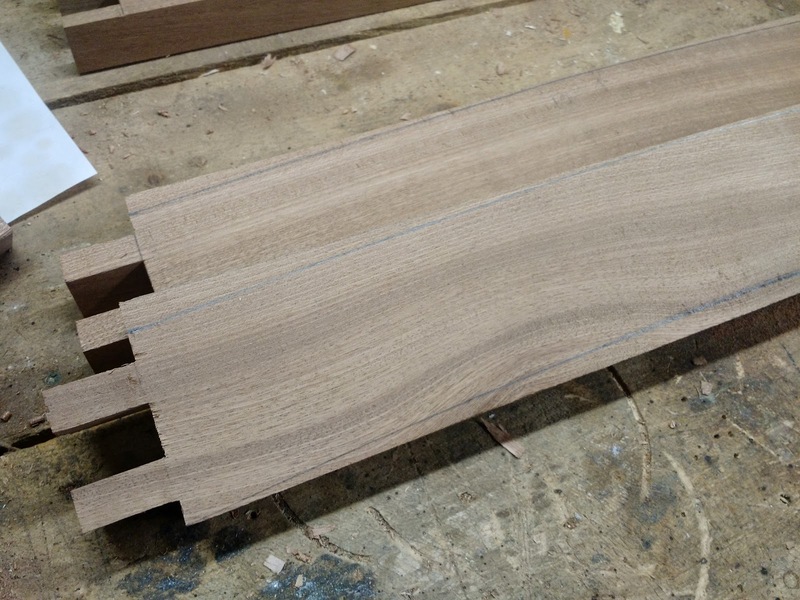 Fortunately it behaved nicely, but I played it safe and stayed away from the ends of the boards which slowed things down more because I needed to carefully chisel out just enough to make a nice 90 degree corner once the boards were joined. All went well and I'm happy with the way they turned out. Next I mixed up a small batch of un-thickened epoxy and brushed it into the joints on all the boards, then I added enough Aerosil to thicken up the remaining epoxy along with some fine sapele sawdust to color up the mix for the joints. Then I just slathered it in all the joints nice and thick so any gaps in the joints would be filled. I assembled all four rails together and inserted a piece of 1/4" plywood into the rabbet (I had previously measured so it would fit perfectly). 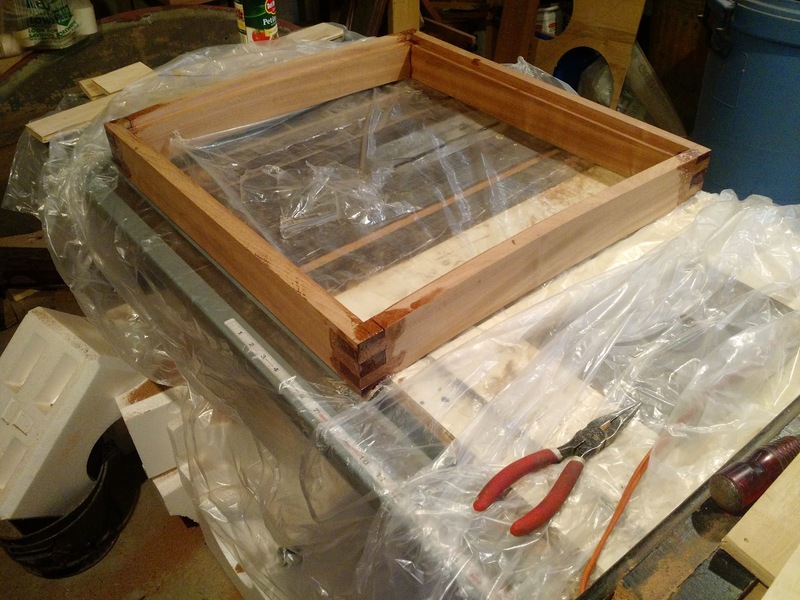 For now the plywood is just there to make sure the hatch is square, but I will eventually laminate it in to provide the substrate for teak decking strips. Finally I clamped it all up and let it cure. Next, I'll start working on laminating up the hatch deck. Right now, my thoughts are to use the 1/4" plywood along with 6oz cloth on the top and bottom. On the bottom side I will laminate sapele strips to the underside so the plywood will not be visible, and on top will be the teak decking. 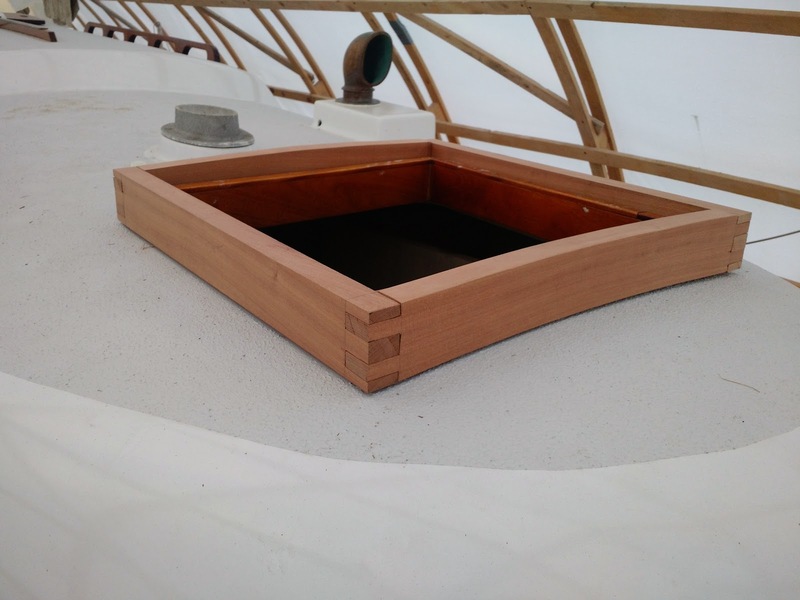 The original hatch I did was built in a similar fashion, but I used mahogany strips in place of the plywood. At the time I was literally swimming in mahogany cutoffs from a friend who was replanking his NY32. Test fit of plywood sub-deck just before gluing up rails. Wow, what a winter! This may be a record for most days I've skied in a year. I lost count at some point, but I suspect it even beat out the days when I was an unofficial ski bum in college and got a job as a lift operator just so I could get a season's pass. Unfortunately, most of the ski areas are going to close just as the really nice spring skiing gets going; I was at Waterville Valley today with my son and by mid afternoon the temps were approaching 40 degrees; just warm enough to soften things up a bit, but not so warm that your trying to turn in thick mash potatoes. 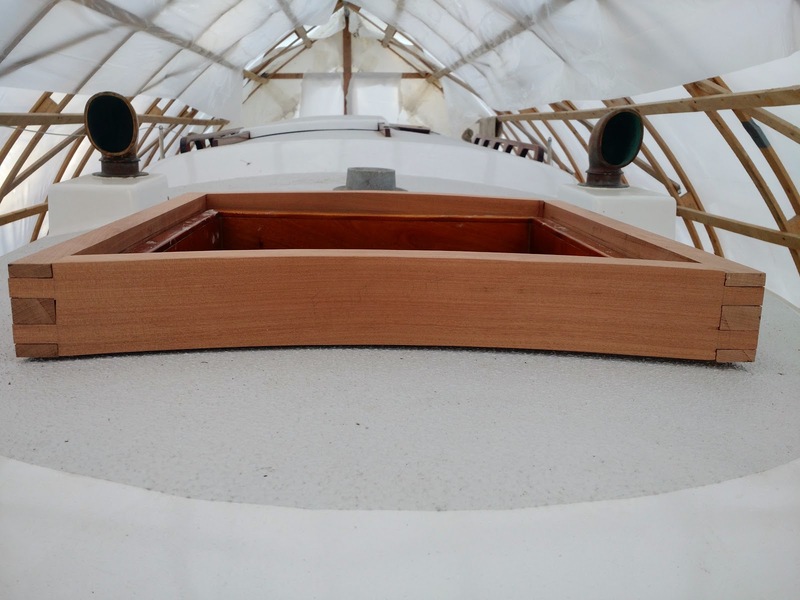 Anyway, this is a boat blog, and even though I did zero boat work over the winter, I got started on my must-do projects for the year. First and foremost was a new fore hatch which unfortunately wasn't secured well when the boat was hauled this fall and flew off the boat on the highway and was pretty much destroyed. Damn shame because I built that hatch myself about 10 years ago before the restoration and I was really proud of it. Although I had other boat projects planned for this spring, this needs to be done and since I always like doing these sort of projects, it should be fun. 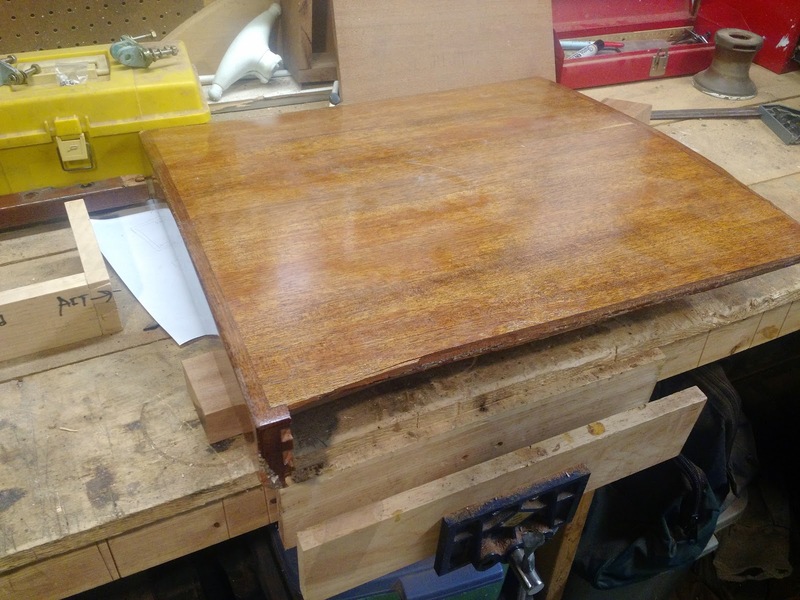 The old hatch was a varnished mahogany affair that was really pretty, but it was slippery when standing on it, and it didn't match the sapele coamings and rails that well. So this one will have a teak deck top and the side rails will be made of sapele. Late last week I stopped by Goosebay Lumber and picked out a nice 5' length of 6/4 sapele and got started on the hatch. Fortunately, I was able to get the measurements I needed off the old hatch, so the initial setup was fairly straight forward. I was going to do hand cut dovetails, but I ended up doing box joints because I just don't have time to do the dovetails. 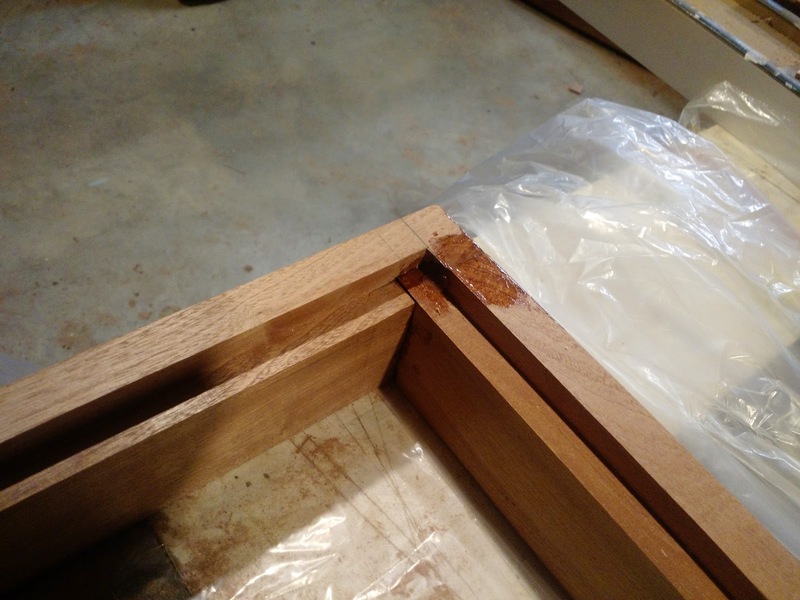 The box joints still look nice but are easy because most of the work can be done on the tablesaw with a mortise and tenon jib. 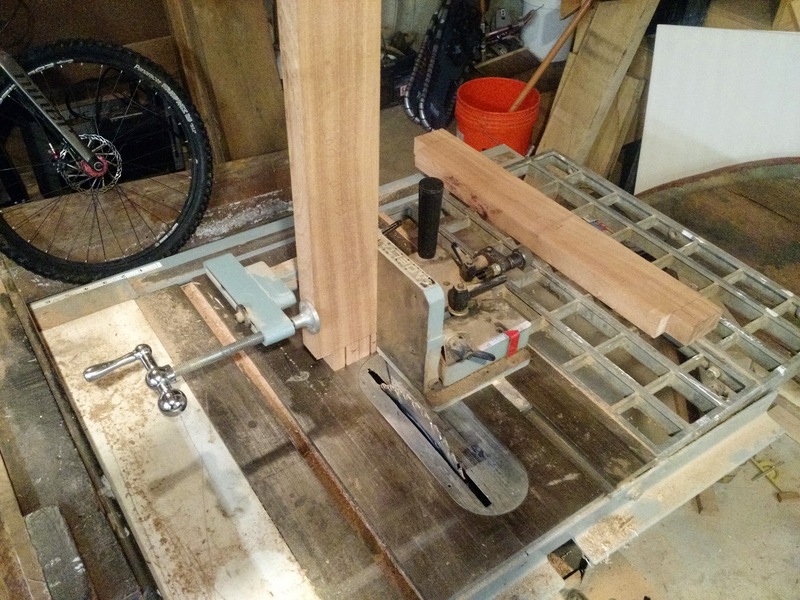 Its just a matter of setting each offset and then running the four sides through the saw. Then move onto the next offset and do the same; repeat until done and the use a fret saw to cut out the waste (Awesome fret saw). A little filing here and there gave me a really good rough fit that will come together nicely with a little more tweaking. From there I transferred the deck camber curve to the front and back sides of the hatch and cut them out on the band saw. Some more filing to smooth out the curves and I did a quick test fit over on the boat to make sure I hadn't totally screwed it up (I hadn't) before I called it a day.